The best way to get to know a community is by scheduling a tour. See the facilities, meet the staff and residents, and get a feel first hand what it's like to live at The Atrium at Faxon Woods Memory Care. 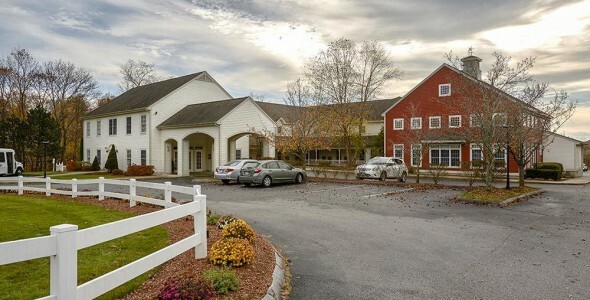 The Atrium at Faxon Woods in Quincy, MA, is an assisted living residence designed exclusively to serving the needs of individuals with memory loss. Our goal, in everything we do, is to create an environment that feels safe and familiar, empowering and fulfilling. All forms of memory loss, from forgetfulness to Alzheimer's disease and other forms of dementia, are disorders of the memory, not the spirit. In fact, care of the spirit increasingly becomes the one way we can reach and communicate to those with memory loss. At The Atrium at Faxon Woods, we connect with the residents and their caregivers. It's what we do best. Welcome to The Atrium of Faxon Woods!